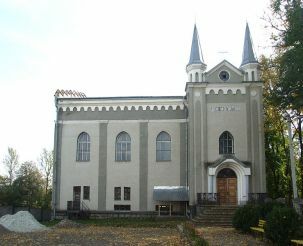 On the territory of Horodenka, a small town in the Ivano-Frankivsk region, is the synagogue, whose construction dates back to 1743 year. The emergence of the idea of ​​construction of the synagogue and, therefore, its occurrence is related to the urban community of Jews, the first mention of which dates to the middle of the 17th century. It was in those years, settlers Jews received legal rights to employment in trade, crafts and agriculture. With these they have been allocated rights and land for the construction of a new temple. 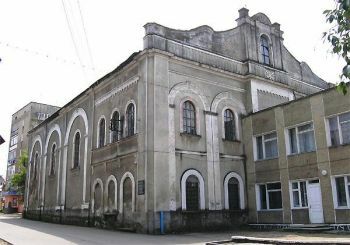 Synagogue occupies quite a large area, being located on two floors. The outer part of the building is painted in gray color, which stand out against the background of the arched windows with white trim. On the facade is placed a plate with the full name of the synagogue. Throughout its history, the synagogue was reconstructed several times, causing internal and changed his appearance. 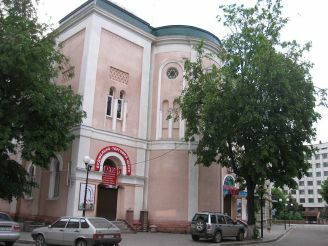 Today, the synagogue building in Gorodenka completely rebuilt and almost kept its original appearance. Large-scale reconstruction of the synagogue took place in 1885. 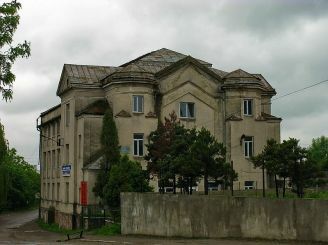 The fundamental reconstruction of the building took place in the Soviet era. 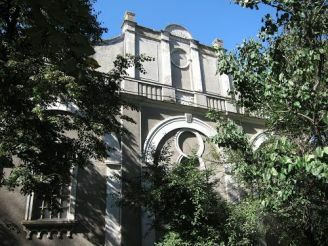 According to its primary purpose the synagogue was used for about 200 years, from 1742 to 1941. Since the 40s of the 20th century synagogue occupied by different institutions and organizations, which have no relation to religion.